"Consulting the Genius of the Place"
What is Practical Ecology Versus Philosophical Ecology? When does a nation begin to become unrealistically indulgent or uncaring about something important like food or water resources? In doing so, when do we break away from frugality, sustainability, or practicality, and into over-consumption, waste, or a feeling of indifference with our natural resources? I think about this a great deal in my daily life as a practicing vegetarian. I by no means live direly, as I have free food banks abounding in my lush Northwestern wonderland, free city-funded sandwich tables on street corners, and EBT subsidies that will help feed me when I’m nearing the poverty line; but I choose to try to live very frugally by my own philosophies, in short as Gandhi once spoke “…being the change I wish to see in the world.” In this worldview I try to live intentionally; I avoid wasting food to a very large extent, as I’ve read that nearly 1/3 of Americas food supply eventually gets dumped out as trash or goes bad waiting to be eaten. This sickens me when I know that there are countless numbers of people out there each day walking miles and miles for scarce reserves of local food and water, and that there are seed sorters in India making roughly a tenth of the average US wage while handling individual cashew nuts by hand for export here in America. We rarely (if ever) get to see the processors of our Wal-Mart goods or the families of labor-intensive fruit laborers, and we often forget how lucky we have it. We drive to the store, purchase random packages, pile them into the backs of our pantries (often forgetting and letting them spoil) and then months later, if uneaten, throw it out. This is American greed, ignorance, overindulgence, and waste in a nutshell. It’s easy to ignore what we can’t see and what we don’t quite understand. I see the same trends in ecology; we forget what the rest of the world is like, and we live according to our own ideas of sustainability. I think it might help us to walk a day in others shoes sometimes. My approach to ethical vegetarianism stems largely from a philosophical approach in addition to a practical one. We’ve far-exceeded human demand by our own living standards (somewhere in the range of 2 billion as our planetary maximum) via our biospheres “regenerative capacity during the 1980’s” says Jackson, we surpassed a sustainable quota of land animals, fish, and birds to feed everyone (equally) on this planet, as well as the land-mass to give everyone their equal shares of luxuries we expect outside our plates at dinner, notably the car in which you drove to get it, the clothes which you wore while eating it, and the computer components which rung up your total at grocery checkout. In practice we stopped being able to efficiently house, feed, and pay equal wage to everyone on the planet nearly 30 years ago; that’s the reality of our current situation. Rich and developed (notably energy stable) countries like the US have been able to continue on with their same standards of living without giving much thought to this over-population crisis. Unfortunately our obsessions here in the US with inexpensive electronics, year-round tropical fruit, and cheap designer coffees are perpetuating many of these impractical and disproportionate pay-scale and resource inequalities elsewhere. In my opinion, inequality and environmental degradation will continue to spread unless we start to give certain (less efficient) types of food and fuel that demand significantly larger portions of our agricultural landscape up. If slowed, these freed-up landscapes could be used to grow and feed much more efficient and directly edible plant-matter. The first and most obvious answer to me in tackling this inefficiency is scaling back the incredibly carbon (and much more importantly methane-intensive) process of land animal and dairy consumption. While location play drastically into a regions sustainable food-growing operations, overall we start to see trends of over-consumption and habitat destruction after we reach a certain point in overall population density. It’s incredibly easy to forget about these issues when we live in such a green and fertile place like the Pacific Northwest. We don’t need to travel very far to get amazing produce here in Seattle because of our ideal climate and our cheap overabundant access to carbon-free hydroelectric power via the Grand Coulee and Bonneville dam projects (a product of Federal subsidies via Roosevelt’s New-Deal era in the 1930s.) We’re spoiled rotten here in the Pacific Northwest with our bountiful natural resources, and I think it’s very easy to forget that global warming has yet to affect us here in most of the ways it has elsewhere on the planet to date. We regularly forget that millions of people lack access to potable water, toilets, and electricity; and we forget that sometimes it’s easier to just export the cheaper subsidized GM seed simply because it feeds more people’s mouths at the end of the day. I appreciate what the Land Institute group is doing philosophically; I think that long-term sustainable agriculture will need to be mostly mixed-use and take on the look of small-scale; locally-focused farms. I know organic is most certainly the way of the future, but I also don’t think it’s the way of keeping the most people fed right now. I have to admit I was offended (during the classroom presentation by CAGJ) to see a photo of a bunch of college-aged middle-class (mostly) white kids who’ve probably never seen anyone personally die of malaria, measles, syphilis, or rota-virus out protesting the Bill and Melinda gates foundation’s funding of GM drought-resistant corn (engineered for those in the world without Grand-Coulees.) This protesting seems to me like a ridiculously affluent and privileged idea. Drought-resistant corn could save thousands of lives in places like sub-Saharan Africa; much like the use of DDT has for malarial outbreaks over the last forty years. When Rachael Carson started the environmental movement back in the 1960’s DDT got a horribly bad reputation, but if it’s been attributed to saving millions of lives, how could we say this was anything less than a miracle insecticide? GM drought resistant corn and widespread DDT use are not by any means ideal environmental solutions, but they are certainly the most humanitarian. I don’t know about anyone else, but I sure as hell wouldn’t want to tell some malnourished kid from Somalia that I’m protesting a viable temporary solution to keeping his families’ belly full. In fact, I don’t think I know the first thing about what it’s truly like to not know where my next meal will come from; it’s got to be pretty scary having to rely on others completely for your livelihood after being displaced or in drought for several years. If we need to bring in some drought resistant GM corn to better benefit the future of a developing nation for a few years until some of these places can better sustain themselves (by gaining electrical independence) in the midst of a dry hot warming climate, I think we’d be monstrous to delay its arrival. This is a way for these countries to gain independence long enough to get out of a global-warming sinkhole that we (the 1st-world industrialized nations largely created for them). If laboratory-based genetic modification can save even a handful of lives, I’m completely for it as a temporary way out of an over-population crisis, even if that means growing it here at home and exporting it like we do currently. GM isn’t about philosophy, it’s about food practicality. CAFO’s and similar unethical animal-housing projects are also a big problem globally. Billions of animals are grown to meet the demand of developing nations, and we see fishing fleets over-harvesting oceans of their larger species (especially in east Asian waters). If everyone on this planet can’t afford or have adequate access to ethically and sustainably-produced animal products, I for one choose to protest, hence my vegetarian tendencies. Alongside the growth, housing, and harvesting of farm-raised food animals comes an immense spike in the growing of food to feed them. In the US, 60% of the grain grown goes directly to feed animals. This process is extremely inefficient in nutritional delivery as up to ten times the amount of plant-available protein can be grown, harvested and fed to people directly without using animals in the same amount of acreage. With this substantial inefficiency came new engineering trends; we see more mono-cultured crop varietals developed to gain marketable efficiency in large clustered numbers and agro-business begin to turn more to faster lab-based genetic engineering of seed to keep costs down and produce higher yields. The monopolized business of seed dispersal and patents seem like bigger issues to me here than the battle of “lab-based” genetic modification vs. “selective-breeding processes” that we’ve traditionally used to genetically engineer plant genotypes. Selective breeding is genetic modification, laboratory or not. I think Jackson is using non-science jargon when he says "...we tinker with the DNA by injecting genes into our crop for herbicide resistance,” and that "The soil resource with its ancient integrities has been compromised by the toxic product of the chemical industry." Yes, there are plenty of reasons to take issue with big corporations who patent life and over-use fertilizers and insecticides (often sidelining health issues), but singling out the “chemical industry” is just ludicrous. I get his point, but I think he’s poorly executing his ideas here. Most of us wouldn’t be here today if it weren’t for the chemical industry; let’s all say our thanks to dynamite, steel, film, fiber-optics, paper, and blood products. We wouldn’t have this class or education opportunity without chemistry. I want to note that I’m sad that there aren’t more small-scale rotational mixed-use farms in existence; they’re by far the most sustainable, and I choose to support them weekly at my local co-op and farmers market. I’m thankful that I’m privileged enough to have the choice to do so. I believe the local movement is the most sustainable; it produces much higher quality and nutritionally-dense products, and I believe they are our best option. These small-scale operations tend to use much less carbon footprint while supporting farmers and they don’t degrade top soils like monoculture does. The downside is that it’s much harder to market mixed-use farms to large-scale money-making companies; a place where most of us pour our dollars. Wal-Mart, Costco, Target and Kroger are what most of us buy into on an average trip to the store, but we don’t seem to agree with them philosophically. Maybe we forget that our money and investments come down to us, and no-one else. I hope we wake up to this one day. As great as the local food movement is, we can’t all live in rich agriculturally-dense habitats; global warming has reared her ugly head. But because of cheap abundant energy we’ve decided to do the impossible and build cities out of complete deserts in places like Dubai, or here at home in Vegas or Phoenix, and while these places are largely unsustainable now because of our dance with fossil fuels, they wouldn’t necessarily be if we had access to cheap, abundant, carbon-neutral energy sources to keep them alive and vibrant into the foreseeable future. These places can’t be left out of the equation, we need to find a way to include everyone in our progression; cheap abundant energy is the quickest solution but it’s not just about the US. If we decided to only focus on feeding ourselves and ignore billions of annual humanitarian aid and emergency funding in the way of food (primarily grain) to developing nations and hurricane/earthquake disaster victims, we could focus billions more on efforts here at home, focus on small-scale local modalities of food distribution, and decrease our unneeded surplus subsidies; there’s no doubt, but that wouldn’t ever be ethical. 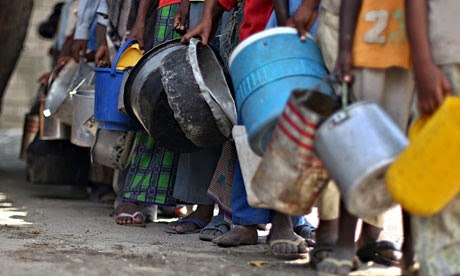 Humanitarian aid is largely our responsibility because we’re creating more climate change than anyone else right now! Our primary focus needs to be here at home, but it’s especially important to remember why so many economies are suffering and how we may have played a role. It’s not hard to see fault on our part when we remember Americans demand cheap imported goods from low-wage workers out of many developing nations to keep up our lavish lifestyles here in the US. We like our limes and oranges year-round, our shirts to cost fifteen dollars or less, and our morning cups of coffee to be as cheap as humanly possible, and that’s exactly what we’re getting in a rich energy-dense country like the US who can afford to outsource itself and globalize. I think energy and technology really is the bottom line when it comes to feeding more than 7 billion people. This population boom is unsustainable in terms of “natural” farming methods using selective breeding. I think Jackson gets it right in the way of moving toward poly-culture and perennial crop science; this is something that could greatly benefit our agricultural landscape in future generations. However, talking about the benefits of mass-produced and ecologically sustainable seed that hasn’t actually been developed yet seems a little problematic to me. I certainly think he’s onto something, and I think his philosophical analysis is very bright, but for now, edible widespread perennial cropland isn’t in existence yet, and we need practical and (known) tested methodologies and immediate application if we’re actually willing to attack climate change and feed everyone. This means being okay with “labs.” I think the Land institute is very forward thinking and should continue to be heavily funded, and yes, we do need to eventually get 100% on-board with agriculture that doesn’t compromise soil integrity, absolutely; but global warming is happening right now, not ten, twenty, or thirty years from now. Let’s start talking about what functional and proven sound scientific methods would save the most lives in actuality this year and this season, and make theoretical ideas step 2. Yes, it’s fun to contemplate the meaning of sustainability and our romanticism surrounding the "mechanistic worldview" as Jackson puts it; but then there’s reality. Nowhere in his book does he pay mention to the fact that 60% of our grain crop goes directly to the inefficient process of feeding animals in CAFO’s, or that almost all the rest goes to ethanol production. These are largely issues outside ecology, but they are critical to this topic. To me, the argument comes down to this; is our goal in pushing the future of agriculture through perennials in reference to adding a few extra years onto a middle-class Americans life in the way of balanced nutrition, affordability, and organic labeling, or is it to better allow displaced families in Congo to not have to walk as many miles to get their next bowl of rice? What is the bigger picture here? We know without a doubt that countries with the largest amount of energy independence do better economically; they live longer, they have access to and hold better jobs, they create better GDP to better compete globally, they have better access to communication and technology, and they have the ability to become more self-sustaining and food independent. We know this because it’s fact; we see it in any first-world nation. Yet Jackson speaks multiple times of the “conservation movement.” I personally think the conservation movement (in general) is one of the most ethnocentric ideas developed nations have come up with yet. The phrase is somewhat insulting to me when Jackson asks the reader "what is so seductive about the mechanistic worldview?" This is an extremely biased question. Of course we’re obsessed with the mechanistic worldview; it improves people’s lives. For example, we see children in India thriving in school when humanitarian groups install single 1x1ft solar panels on the roofs of family huts (just enough to power a single light bulb for a few hours a day) in turn, giving the child a few extra hours of study every evening after the sun goes down, and bettering his chances of getting his family out of poverty. This is the basis of mechanistic; the difference between being able to see a few extra hours every night to sew, cook, clean and read versus staying in the dark. The mechanized world view creates vaccines that save millions, medications that keep us healthy, and water that doesn’t sicken us; and most importantly, it gives us unlimited amounts of energy. Jackson is absolutely correct when he points out that fossil fuels aren’t the answer; they are finite, they release CO2 into the atmosphere, and they will only rise in price. Cheap and endless energy is something the US has largely taken for granted, and while I think Jackson does a great job discussing the issues of ecology and land conservation, he completely backs himself into a corner when he mentions the conservation movement. Let’s be realistic here; we have over 7 billion people living on the planet right now, we estimate over 8 billion by the time we reach 2025. There is no possible way we could ethically strive for “conservation” when we need to be able to support healthy safe food-secure futures for another billion people in the upcoming decade. This is assuming we want them to have access to clean potable water, light switches in their homes to see at night, and enough food to feel secure enough to start building thriving cities and leaving home for work during the day, necessities. So yes, our dependence on fossil fuels and carbon emissions are obviously backward if we want to reduce the effects of greenhouse warming; we instead need a zero-carbon option that is realistic, safe, proven effective, and able to go into operation today, not in ten years, but right now as Obama is already pushing. The book only mentions the concept of (non-fossil-fueled) nuclear power for about a page and a half (pgs. 74/86-87) throughout the entire book which surprises me because it’s potentially so carbon neutral. Low-enriched uranium and thorium reactors are some of the cleanest, greenest, safest, low-carbon energy sources in existence today, and they can get us that carbon neutrality we need for developing nations immediately and for the next several thousand years into the future. Breeder reactors and traveling-wave reactors are a highly under-rated sustainable fuel source in the US mostly due to fear and the lack of education we have in this country about nuclear processes; notably radio-chemistry. 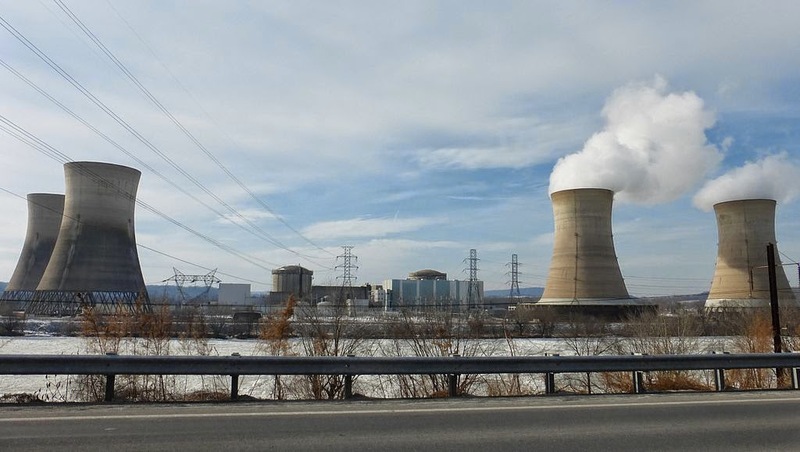 Citizens saw incidents like 3 mile island on TV and got scared. (this incident killed and injured zero people, and melted down to specification; meaning the containment building held everything in as designed, the plant was shut down, and then engineers slowly relocated the melted fuel to other plants as needed for reprocessing) This incident was accidental, but still functioned to specification per design. Regardless, most people were scared about it, reports and scientific findings aside, because they were never taught to understand basic reactor design. Most people don’t understand that the second reactor on site is still operating perfectly to specification today and producing safe power. Let’s keep in mind that the average American also (unfortunately) has a 4th grade reading level and doesn’t know much about radioactive decay outside the average high school science class. This is sad to think about, but very true; we’re not a very smart group of people when it comes to scientific understanding in this country. We often operate on fears instead of peer-reviewed literature. Now let’s fast-forward a few years and we’re watching the Chernobyl incident occur on the news; this is a little scarier yet because this accident actually did kill lots of people; but not many of us know why or how. According to the UN, approximately 40-45 people died directly because of immediate radiation exposure (31 confirmed), and they also note that it’s estimated a possible 2% increase in cancer rates will occur to those immediately exposed nearby. Chernobyl was a very serious and horrific accident, but also completely preventable. We knew well before the accident exactly how to prevent terrible events like this from occurring, and so this incident doesn’t haunt nuclear engineers in the slightest; instead it leaves them shaking their heads. There was a very specific reason Chernobyl killed so many people and created such a mess around the immediate site; this reactor was built entirely without the most crucial component of all, a containment building. This was largely because this reactor wasn’t designed to make nuclear power at all; it was designed to process a much dirtier, highly enriched uranium weaponry program, a completely different process. It’s sad to say now, but this plant was an accident waiting to happen. The powers that be failed those that died there by ignoring basic safety protocol as they built that reactor, and now we have a horrific story to show for it. Power reactors are not designed this way. Containment buildings are absolutely essential. Again, we got scared because we didn’t understand why these people died, and why Chernobyl was a huge disaster waiting to happen. Containment buildings are critical to safety, period. In addition, few of us know that after the leak at Reactor4, the remaining three reactors at the plant continued to operate for years. Reactor2 ran until 1991, Reactor1 until 1996, and Reactor3 operated until 2000 until it was decommissioned. Lastly we fast-forward to 2011 and the Fukushima Daiichi incident (which killed/injured zero people from radiation fallout and has no evidence to support an increase in cancer rates according to the UN) and again people got scared. We furthered that scare by evacuating people far after it was necessary to do so. Why? Reactors 5 and 6 on site continued to run effectively until they were decommissioned in early 2014. What killed thousands in Japan in 2011 was an earthquake and a giant tsunami wave, not a few broken reactor buildings. I think maybe people confuse the two. Why do we get so scared of an energy source that has only killed 55 confirmed people worldwide from commercial power reactors in all of human history, yet we continue burning coal, which we know has killed millions? 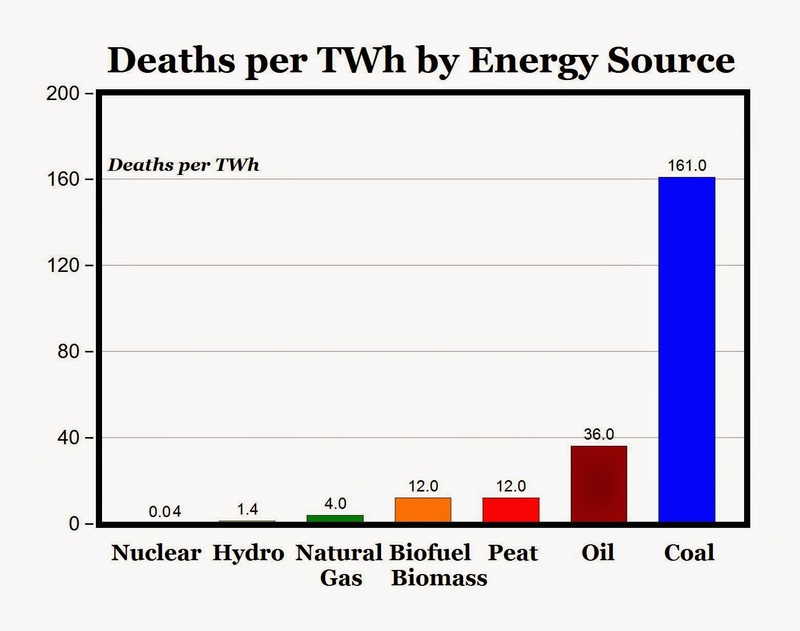 4,000 times as many people die per-unit of coal energy as per-unit of nuclear energy; but these deaths aren’t nearly as high profile or news-worthy as nuclear reactor accidents, so we don’t tend to fear them the same ways. Maybe this all comes down to media sensationalism, I don’t know. Another report from NASA calculated that nuclear energy prevented approximately 76,000 deaths a year from 2000 to 2009 by displacing coal fired generation with nuclear energy. Fear eventually hit politics too, this time in the form of fearing nuclear armament. The first big hit to the nuclear industry came in 1977 when the Carter administration announced that the US would stop the reprocessing of spent reactor fuel. He stated that this action was necessary to reduce the serious threat of nuclear weapons proliferation, and that by setting this example, the US would encourage other nations to follow its lead. In 1994 The Clinton administration killed off the Integral Fast Reactor idea, again, because of concern over the idea of nuclear proliferation. (This continues to be the sentiment even after extensive testing has shown that a fully-fueled 747 could be flown dead-center into a modern-day reactor building and it would barely chip a few inches of concrete off of the walls.) Regardless, political influence has largely dampened the building of extremely safe and extremely efficient fourth-generation reactor models over the last few decades. Today, nearly 40 years after Carter took office; all of the US spent fuel remains unutilized in storage at each plant where it was used instead of being efficiently reprocessed to drastically reduce waste material. These reactors have the capability of extracting almost all of the energy contained in uranium or thorium, decreasing fuel requirements by a factor of 100 (in effect, making 100 times the amount of energy) compared to traditional once-through methods that extract less than 1% of the energy in the uranium used in reactions. The high fuel efficiency of modern breeder reactors could easily power 8 billion people for the next few thousand years with current uranium stores on earth. If humanity is even around in another few thousand years we will most certainly have solved our ecological crisis to have made it that far and to have fed ourselves. This is all a realistic solution because this technology already exists. Breeder reactors have been used in commercial power settings for decades, and their fuel is extremely cheap, quite literally the price of dirt. Furthermore, if we make it through another few millennia and we do start to run out of Uranium or Thorium stores (we’re talking about 5 to 6 thousand years into the future) We could start extracting uranium from seawater, where we would find enough fuel for breeder reactors (at current energy consumption levels) to power us about 5 billion years more into the future, or basically as long as our solar system has until it burns out; now that’s sustainability! 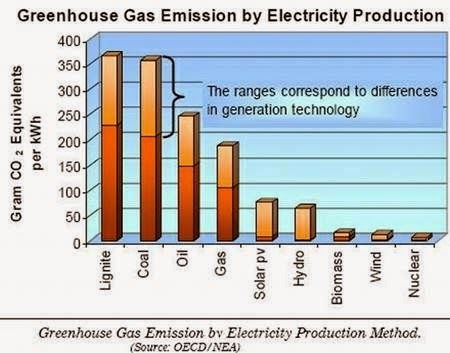 Nuclear is also a greener option than both wind and solar (in my opinion) for multiple reasons. Currently most commercially produced wind turbines take between 23 and 25 years to recoup their cost of manufacturing, yet are rated at a life of approximately 20 years. This is inefficient, and while location plays a key role, they are nowhere near as efficient as nuclear energy which typically lasts twice as long and produces exponentially more power. Photovoltaic technologies have come a long way in efficiency over the last few decades, but still have a very toxic footprint behind the panels themselves. Solar manufacturers in the state of California for example, produced over 46 million pounds of hazardous waste between 2007 and 2011. 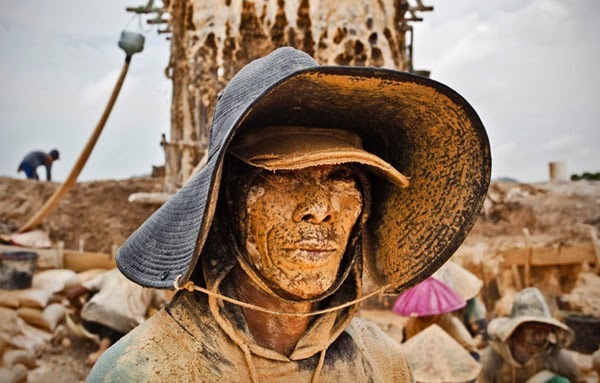 If manufacturing continues to expand to places like China and India where environmental and workplace safety laws are next to nonexistent, we can't afford to ignore the potential risks. This waste isn’t recyclable like it is in breeder or traveling wave reactors. While solar does have room for improvement, the actual impact of photovoltaic technologies at this point are barely cost effective for power generation when we account for the fuel used to ship and store much of the remaining hazardous waste byproducts to distant locations for storage, and again, it doesn’t begin to compare to the efficiency of nuclear energy. As Jackson states “they [must] produce enough in their lifetime to replace themselves from scratch." We must be careful not to green-wash with alluring ideas that can’t be immediately put into place to save lives; we need to educate ourselves about what dirty components go into making (and fueling) our electric cars, the solar panels on our roofs, and how we choose to supplement power on wind farms when the wind doesn’t blow (most often natural gas.) Wind and battery operation/solar technology are great supplementary steps in the right direction until technology improves, but in my opinion they aren’t going to get us anywhere near our goals in time. We need to make it into the next millennia with the rate at which we’re growing, and we need immediate results. Jackson talks about needing to “cut our fossil fuel consumption to 20 percent of what it is now long before century’s end,” and I agree completely and believe we can do it. Pollution from fossil fuels is blamed for 24,000 early deaths each year in just the U.S. alone. Coal is considered the dirtiest polluter by far because it releases roughly 100 times the radioactivity of nuclear plants into the surrounding environment according to the National Council on Radiation Protection and Measurements. So let’s be realistic about this goal and look at the facts; in 2012 19% of the energy made in the US was engineered from exothermic nuclear process in 134 commercial reactors nationwide, 37% was from coal, 30% was from natural gas, 7% was hydroelectric, 1% was from petroleum, 3.46% was wind-powered, 1.42% was biomass, .41% was geothermal, and lastly .11% was solar. What should we focus on changing the most? 68% of the energy produced in the US came from fossil fuels. Realistically if we want to immediately drop our carbon footprint into Jackson’s threshold and incorporate clean air and minimal waste while doing it; revamping our nuclear energy program would be the most effective choice. France is an excellent example of this as a leader in changing directions very quickly; they turned their energy policy around and cleaned up their air in about 2 decades while doubling their number of power reactors (now 59) country-wide. They now sell their cheap excess energy to neighboring countries for a profit when they overproduce. France is one of the few countries in the world with an active nuclear reprocessing program that was developed to chemically separate and recover fissionable plutonium from irradiated nuclear fuel (this is the technology we feared and banned in the 70’s). Most leftover fuel is stored in small tubes in the concrete floors of the reactor site and never travels outside the building itself. This to me is the future of sustainability. We need to replace that annual 68% of ours, and act fast with a near-zero-emission alternative. Wind and solar don’t even amount to 5% of our total energy output, and we can’t multiply these resources overnight; we need a long-term reliable source right now; and not just for us here at home, but most importantly for the people in the developing world who need it now. Nations like Singapore and United Arab Emirates are examples of exploding populations that rely mostly on unsustainable fossil fuels like natural gas. As far as I’m concerned; to be anti-nuclear for the foreseeable future is to be in favor of burning fossil fuels, plain and simple. There is absolutely no way the world (ever expanding at the rate it is) can rely completely on renewables with our current technology if we want to succeed in the coming decades at this goal of carbon reduction. Even if we were to become completely carbon neutral tomorrow, the greenhouse effect would still continue for decades to come. Let’s talk about waste and land-use competition for a second too, as I find this very important. As I stated earlier, 60% of the grain we grow now, inefficiently goes directly to animal feed in the US. I find this completely unethical. But it’s also very worth noting that a great deal more of our precious farmland in the US is being wasted on something even more troubling to me, ethanol production. Ethanol is inefficient; it uses more carbon than it saves in production growth, storage, transport and delivery; it’s a waste of our time, and it’s not helping the environment at all if it creates more carbon than it saves. At present it takes seven barrels of oil to produce eight barrels of corn ethanol from field to processing plant; that’s an efficiency of about 12% over gasoline (but don’t forget that we most often blend ethanol with gasoline, and most blends are generally 85 percent ethanol/15 percent gas) that reduces efficiency to around a meager 2%. This is hardly effective. Keep in mind the corn used to fill a 25-gallon vehicle tank with ethanol one time would feed one person for about an entire year. In 2011, the US (the world’s largest food exporter) converted 40 percent of its corn crop into fuel in order to satisfy the Renewable Fuel Standard (RFS) in place. The total amount of ethanol produced in the United States in 2011 was 13.95 billion gallons (enough to feed approximately 570 million people that calendar year.) This practice of converting food and farmland into fuel source via government mandate drastically restricts global corn supply and continues to have grotesque consequences for the 1.2 billion people around the world living on $1.25 or less a day. The Congressional Budget Office found that between 2007 and 2008, about 10 to 15 percent of the US food price inflation was a direct result of biofuels production. The US corn crop accounts for 40% of the entire global harvest, supplying 70% of the world’s corn exports and about 25% of total world grain exports, according to the Earth Policy Institute (EPI). These mandates are unethical and wasteful from a global perspective, and they trivialize our goals of promoting widespread food justice, economic equality, and plentiful yields to those who need it most. 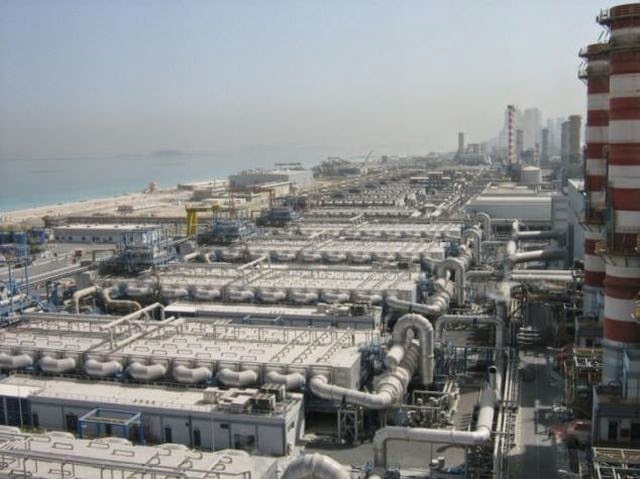 The Jebel Ali Desalination Station can convert 168 million gallons of seawater to fresh per day in Dubai. 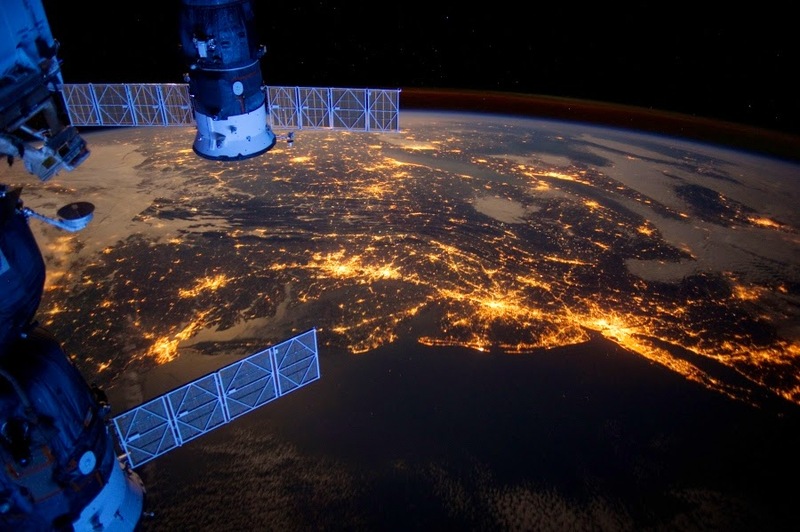 Jackson notes that "...we will have to confront our most basic ignorance about limits. 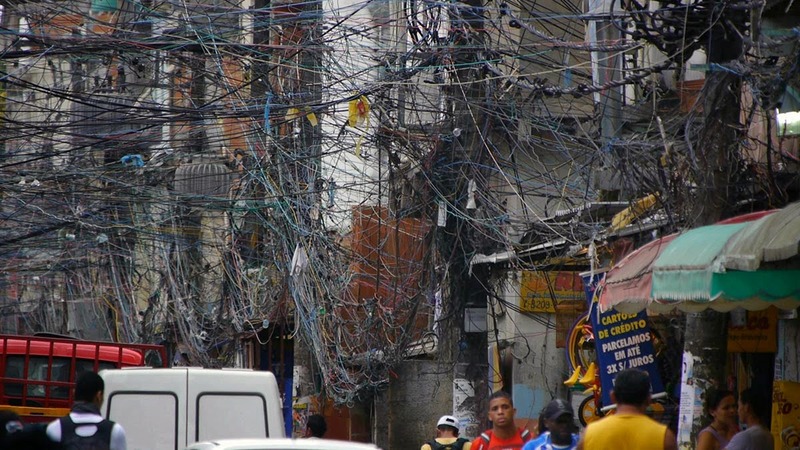 We will have to confront how much we should rely on technology to solve our problem;" and I think that time has come. We’ve evolved to live in incredibly large numbers, and we need efficient technology to help us along the path we’ve chosen. Seven billion people are far from ideal in my opinion, but that’s the reality of our world. 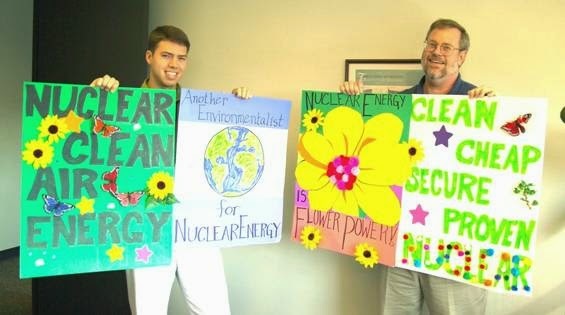 Choosing nuclear for energy independence is the way we can save the most lives right now and feed each other along the way. I think we do need wilderness as a standard against which to judge our agricultural practices; I absolutely agree with Jackson here, but I think that time will only come when we can begin to stabilize financially first, effectively feed ourselves instead of producing ethanol/feeding CAFO’s, get a roof over everyone’s head, get reliable electricity to those most impoverished to help stop the spread of disease, and then, slowly, eventually, start to work on dwindling our massive population numbers down and begin reconnecting with nature as a long-term sustainable way of growing food. Only then can we work symbiotically with the earth as human and soil together. We can’t wait much longer for energy stability because we need this cheap accessible power to help our farmland function long-term. We need to stabilize ourselves first. We can’t expect others making dollars a day to take much concern in the environment if they can’t effectively care for their own livelihood and their family’s food and health security first. I’m talking basic needs here; shoes, refrigeration, vaccines, antibiotics, deworming, HIV education, well water, etc. Surviving comes first. This mess we’ve gotten ourselves into won’t come cheap either. Power generators (much like dams) are expensive upfront, and taxpayers will need to fund them as they have in France and Germany. Luckily nuclear energy is very cost efficient long-term, and reactors generally recover costs in about 7 years after operations start. Plant lifetimes are generally licensed for 30 years, engineered to last 100, and most eventually have these licenses extended to the upwards of 40 to 50 years. This goal of a zero-carbon green energy future is completely doable if we decided to (for example) start using a third of this year’s defense budget to startup funding for nuclear programs again. Once we get the system rolling, energy will have a trickle-down effect; clearing our air as we go. Once in place we will have a much more stable farming and agricultural economy here and abroad, with cheap power for irrigation systems to help expand farmland. (This also means halting our efforts at stopping other countries from gaining their own energy independence through nuclear means too, as we commonly do, notably in the Middle East. We need to come together with the UN and start to make this happen safely in every country on earth- and let’s also keep in mind that traveling wave reactors don’t have this huge amount of waste attached, so nuclear proliferation is difficult or near impossible if we finance these projects. TerraPower, a Bellevue based company, is investing in the development of nuclear fast reactors, or the (TWR) model right here at home. Once inexpensive energy is in place we won’t need to worry about issues like water shortages in drought anymore, (because we will cheaply desalinate seawater and drill more wells) and temporary solutions like GM corn and soy will be phased out, as will the chemical sprays we use to grow them. We will vastly improve lives with cheap energy used to build things like hospitals and schools. The time is now; the earth won’t wait. Let’s take the first step needed and keep in mind that people always come first. Our most valued ecological philosophies will eventually unfold into practical and sustainable methods when we invest in socioeconomics before our soils.